We see keynote presentations as a way to ignite awareness and build momentum for learning. They are short learning sessions (1-2 hours) that focus on energizing audience towards a certain topic or goal. Our keynotes are one-of-a-kind experiences that give people a rock-solid foundation from which to begin exploring how they can become more effective and perform better than ever. Keynote addresses are often effectively combined with workshops and other training to provide organizations with a deeper, more interactive learning experience. 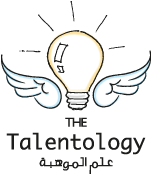 Talentology keynote is a powerful way to kick off any program in your organization or to build interest in any topic. You want the most direct and powerful route to getting people in your organization excited about any topic. Talentology keynote presentations are one-of-a-kind experiences that give people a rock-solid foundation from which to begin exploring how they can become more effective and productive than ever before.